The Industry 4.0 transition isn't a changeover that's happening in the future - it's already underway. Based on a recent survey, most manufacturers in the U.S. believe the switch to digital-centric technologies - such as the internet of things, cyber-physical systems and cloud computing - is going well so far. However, professionals in other parts of the world don't share the same degree of optimism. More than 90 percent of manufacturing CEOs in the U.S. indicate they're confident about their company's ability to adapt to technological innovations at a swift speed, a new poll from KPMG LLC found. Global executives, meanwhile, aren't as united in this assessment, with 63 percent expressing a corresponding level of optimism to that of CEOs in America. Part of their issue is the length of time it takes to see progress, with 71 percent of global CEOs indicating lead times are "overwhelming," the poll found. Just 23 percent of U.S. CEOs felt the same way. Doug Gates, global chair of manufacturing at KPMG, noted tech-driven change is sweeping the manufacturing sector. "While some CEOs are expressing greater confidence in their innovation journey, it's clear all CEOs recognize a failure to adopt and implement new technologies will leave their organizations at a competitive disadvantage," Gates explained. On average, 70 percent of manufacturers globally describe digital manufacturing as a top priority, a separate survey from McKinsey & Co. revealed. Where manufacturers focus their energies seems to pay off, as the industry is in great shape in a variety of respects through hard work and determination. 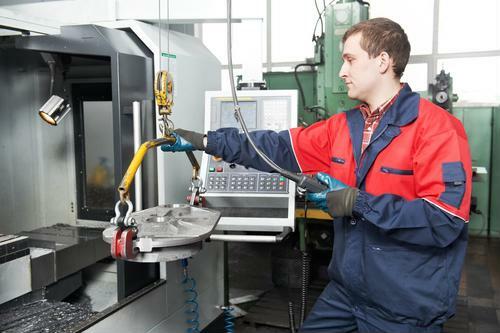 According to the most recent quarterly report on sentiment from the National Association of Manufacturers, over 95 percent of workers express optimism about the direction the industry is headed. That's the largest share in the Outlook Survey's history. Additionally, wages are rising and capital spending is increasing, an indication that employers believe there's room for additional growth.